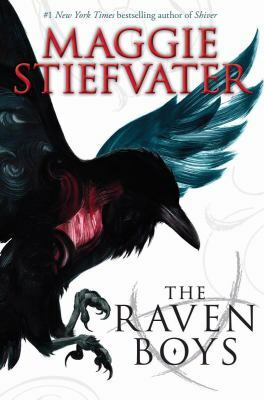 Posted on November 23, 2016 by Abby F.
The Raven Cycle series, by Maggie Stiefvater, finally came to a close this spring with the release of her fourth installment, The Raven King. After finishing the first book, titled The Raven Boys, this series quickly jumped high onto the list of my favorite books. The more I read, the higher it climbed. Stiefvater’s characterization and descriptive language is enthralling, bringing me to actually set down the book and relish over a line or two of pure perfection multiple times. This series deals with magic, mystery, romance, but above all- friendship. The main cast of characters are deeply developed and intricate, and the story gives us a thorough look into their pasts, presents, and heck, even their looming futures. Blue Sargent, the main female lead, is the only non-psychic in a family of seers, but she has the ability to amplify their clairvoyant powers. For this reason, Blue accompanies her Aunt Neeve on St. Mark’s Eve to go to an abandoned churchyard; St. Mark’s Eve is the day of the year when psychics can see the ghosts of the people who are going to die in the following year walk along the Corpse Road. Blue has never been able to see these ghosts- until tonight. She asks this sole visible ghost his name- Gansey- and her Aunt explains that the only reason that Blue, a nonseer, would see a ghost is if he’s her true love- or if she’s the one who kills him. Gansey, very much alive, has spent the past couple of years researching the legend of the dead Welsh King Glendower. Legend says he was buried on a magical ley line, and whoever wakes him gets a favor. He and his best friends Adam, Ronan, and Noah devote their time to finding this sleeping king and recruit Blue into their questing court. The series offers many twists and turns, oftentimes surprising me with a suspenseful showdown or a magical revelation. The more I learned about the characters, the more I loved them and feared for them as their stories grew darker and darker. The characterization stands out as the highlight of the series. Stiefvater chips away at the inner beings of each character until we have a roadmap of each one, pointing out their fears and flaws and tracing their dreams and desires. Out of the main five characters, Blue is the only female, but her family- who we spend lots of time getting to know- is overflowing with a cast of unique, quirky, and psychic women, giving us a wide array of female side characters. Gansey, Adam, and Ronan are my personal favorites; their dynamics are very complicated and interesting, and I anticipated the chapters written from their points-of-view most of all. Stiefvater’s imagination is abundant, and it is evident as she builds her world in the small town of Henrietta. I have and will continue to recommend this series to any avid readers I come across, for it was a wild ride that I will never forget. The four books- The Raven Boys, The Dream Thieves, Blue Lily Lily Blue, and The Raven King– have secured their positions as some of my favorite books, and I hope they will continue to be recognized in the future as the truly captivating novels they are. The Raven Boys and the rest of the Raven Cycle novels are available for checkout from the Mission Viejo Library. Posted on November 17, 2016 by Anmol K.
Beware the Wild by Natalie C. Parker is a paranormal novel about the mysterious shrouding of a swamp in the city of Sticks, Louisiana. The whole town knows to avoid the swamp; including Sterling, the protagonist. That changes when her brother Phin runs to the swamp after an argument. He never returns and instead, a girl named Lenora May claiming to be Sterling’s sister appears from the foggy swamp. Sterling does not believe Lenora May, but the rest of the town does not know of anyone named Phin; they only know of Lenora May. Realizing she is on her own, Sterling becomes more and more determined to go back to the swamp to find her brother. 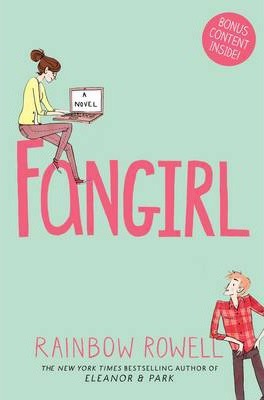 Despite the fact that no one knew Phin, Sterling discovers that Heath Durham, a boy from her grade can help her. Together, they set out to uncover the dark secrets of the swamp. This book has it all. From action to mystery, Beware the Wild encompasses many genres. With a great plotline, there were no missing details. Also, it was unique because the author was able to take the concept of a haunted swamp, and turn it into a great story that will invite you in and won’t let go until the last page. Sterling, the main character, was a smart and independent protagonist, whose love for her brother was her sole motivation to bring him back. 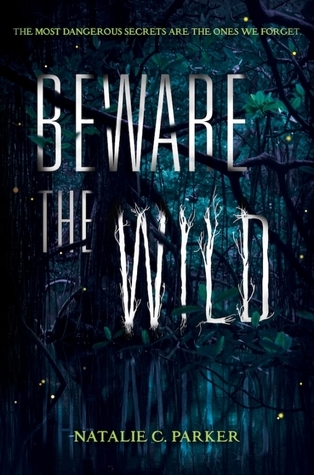 With a satisfying ending, Beware the Wild is great for a quick read. 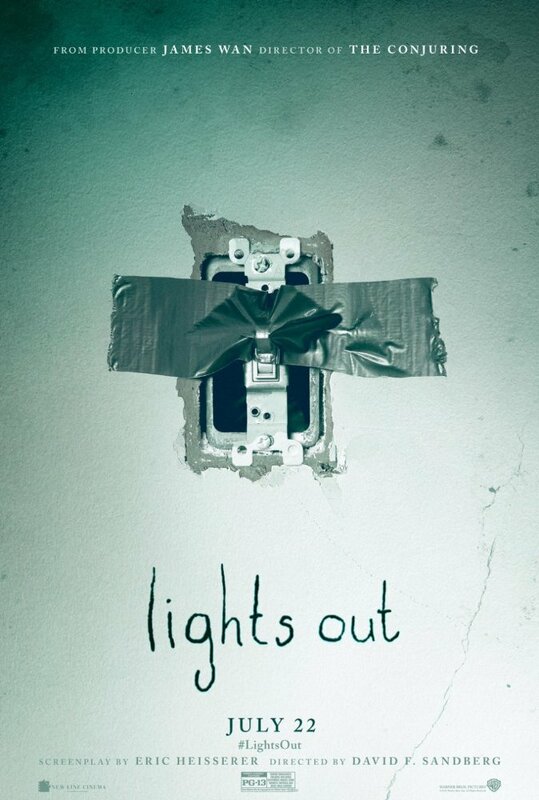 Posted on November 15, 2016 by Maya S.
In the small town of Claysoot, enclosed by a Wall, lives a 17-year-old boy named Gray. Today is the day of his older brother’s 18th birthday. However, in Claysoot, when a boy turns 18, he disappears. They all do. And, everybody just accepts it. So, tonight, as it turns midnight, Blaine, Gray’s brother, will be Heisted. But, Gray is not ready. He is not ready for his best friend and brother to leave him. He is not ready to see Blaine’s little daughter’s face when she sees her father will never come back. But, how can Gray stop fate from happening? Well, there is one thing. But, anyone who has ever tried it comes back blackened and burned as a result of climbing the Wall. Gray considered climbing over it, but always thought it to be too dangerous. Instead, Gray spends his last day having as much fun as he can with his brother. But, it didn’t feel real. Every moment, he would think that just at this very time tomorrow, Blaine would not be there. He would be gone. But, Gray had to accept it. So, as he walked up to the stage during Blaine’s Heisting ceremony, he said his final goodbye. At this point in the story, I was reminded of the classic Italian song, Time to Say Goodbye made popular by U.S. singers Bocelli and Brightman. It’s heart wrenching chorus brings alive the emotion that Gray is feeling. As Gray gave his brother a hug, Blaine did something strange. He winked. This made Gray very confused, but the time had come for Blaine to be Heisted. The ground rumbled, there was a flash and his brother was gone. Or so he thought… If this were a movie, here I would insert in the suspenseful tri-tone bum bom bam! to intensify the mini cliff hanger. Read the book to find out what happens next! I really enjoyed it! And, I give the first book in this Taken trilogy a 9/10 for its intriguing dystopian literature. 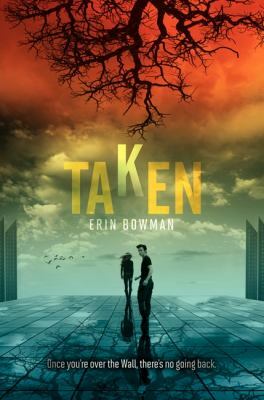 Taken is available for checkout from the Mission Viejo Library.